Premium Quality For The Best Price, Every Single Time! SKU: ABYOTS0N1S. Category: YOUTH CLOTHING. Youth’s (Big Girl/Boy) crew neck t-shirt – Short sleeve, knitted, 20 single, 100% ring spun combed cotton, single jersey. 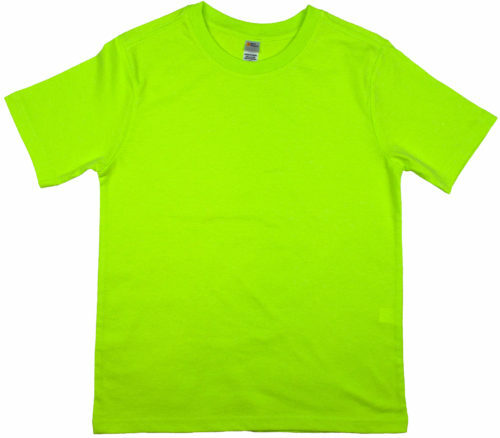 Neon colors 60% cotton 40% Polyester. Ribbed neck, shoulder-to-shoulder tape, double needle hem sleeves & bottom, coverseam neck, side stitched. White is stitched with cotton thread. * Product color may appear different on a computer monitor or screen.